The 17th June marks the United Nation’s World Day to Combat Desertification and Drought. The day serves as a reminder of the international efforts taking place to combat land degradation – these efforts are incredibly important to the livelihood of not only a huge number of ecosystems, but to millions of humans worldwide. 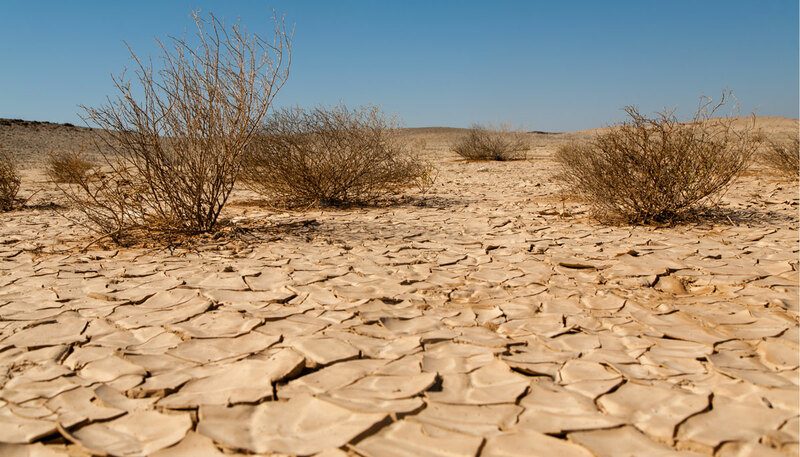 Desertification is the degradation of land in arid, semi-arid and dry sub-humid areas. 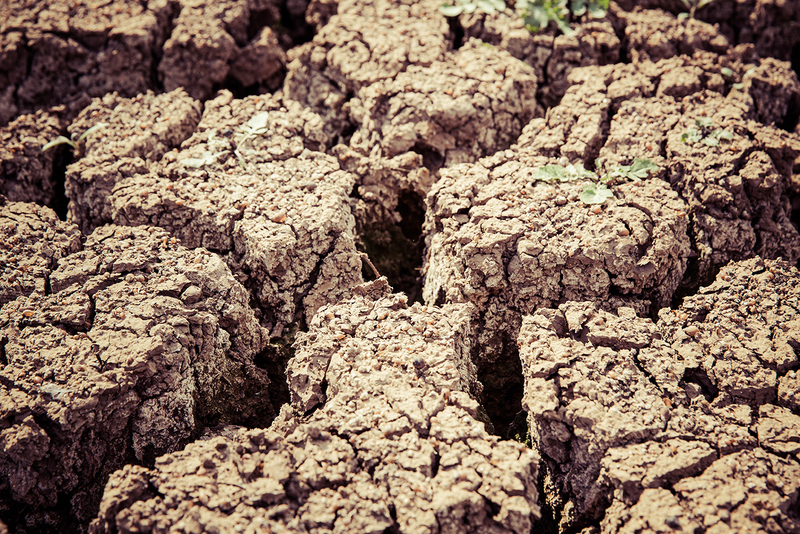 Degradation processes can be fueled by a number of factors, including temperature and rainfall changes resulting from climate change and human-induced drivers of change such as soil erosion. Research conducted by Professor Mark Reed, Newcastle University, and Professor Lindsay Stringer of University of Leeds highlights how the effects of climate change may be far greater for the world’s poorest people than previously feared due to the devastating consequences desertification can have on food production. “It’s easy to think of land degradation as a problem of the developing world that doesn’t affect us here in the UK,” explains Professor Reed, Professor of Socio-Technical Innovation at Newcastle University. “But if we continue to lose productive forests and rangelands around the world, then the carbon that they once locked up will be released into the atmosphere where it’ll drive further loss of productive ecosystems and more climate change. “This will leave even more people vulnerable to the combined effects of climate change and land degradation. In order to tackle this problem, Professors Reed and Stringer explain that we need a more collaborative approach between researchers, local communities and international policy-makers to create timely and cost effective solutions. Find out more about Newcastle University’s agricultural research here. From droughts to flooding, all around the world water related crises are getting increasingly worse. The combination of climate change and environmental damage mean we will be facing more severe weather than previously predicted. Research conducted by Newcastle University has analysed changes in flooding, droughts and heatwaves for all European cities. The study shows that there will be worsening heatwaves for all 571 cities, with increased drought conditions in southern Europe and an increase to river flooding in north-western Europe. Britain is predicted to be hit by some of the worst flood conditions; we are facing a future in which “half of UK cities could see at least a 50% increase on peak river flows“. “The research highlights the urgent need to design and adapt our cities to cope with these future conditions. Today, around 1.9 billion people live in potentially severely water-scarce areas, this could increase to around 3 billion by 2050. Of the water that is available, the quality is an issue across the globe with 80% of wastewater flowing back into the environment without being treated or reused and an estimated 1.8 billion people using an unimproved source of drinking water. 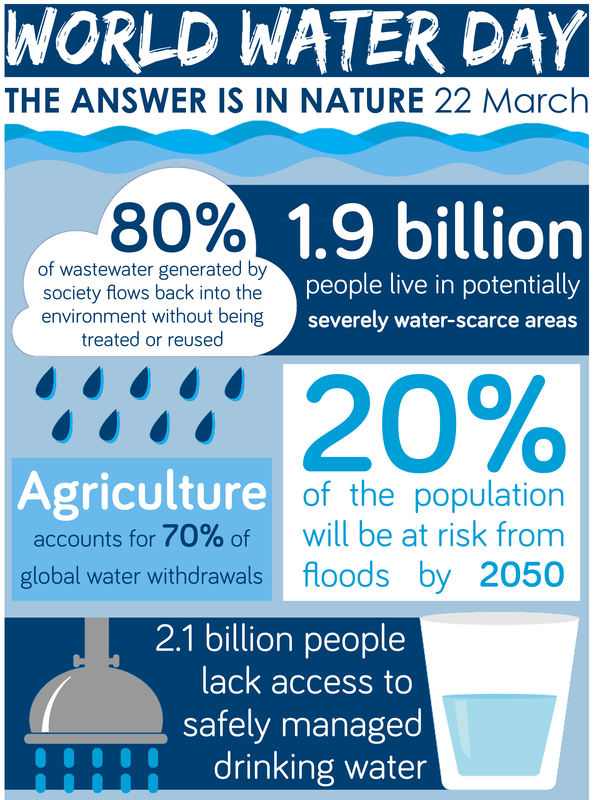 Due to a growing population, by 2050, global water demand could be up to 30% higher than it is today (United Nations). In line with Newcastle University’s research, the United Nation‘s also state that flooding will increase globally, with the number of people at risk rising from 1.2 billion today to 1.6 billion in 2050 – nearly 20% of the population. Research led by Paul Quinn & Jennine Jonczyk at Newcastle University is looking at ways in which we can work with nature, in both rural and urban settings, to help ease floods and droughts. Natural engineering aims to compliment traditional engineering approaches, by finding ways that features in the landscape can be used to hold water and benefit the ecosystem. Examples of natural engineering include placing ‘leaky ponds’ to manage run-off, which fill up during a storm and gradually drain out over time, or planting trees in locations where they will soak up the most water. For cities it means dealing with water above ground instead of forcing it into drainage systems below which may easily reach capacity during heavy rainfall. This includes installing swales on the sides of roads to prevent surface flooding or making surfaces permeable for the water to seep through. Using nature-based solutions will help us to meet the water needs of an ever expanding population, whilst simultaneously helping us protect the natural environment. Research from Newcastle University is helping countries all around the globe work towards meeting the United Nation’s Sustainable Development Goal 6 which commits the world to ensuring availability and sustainable management of water and sanitation for all by 2030.